We want to make your experience with Pioneer Pain Management be one of the last experiences you have with your pain and discomfort. We understand the stress and anxiety that comes with visiting a new doctor’s office for the first time and we want you to be as comfortable as possible before walking in our doors. Please take a moment and read a brief summary of what to expect upon your first visit with Pioneer Pain Management to familiarize yourself with our practices. For Ketamine Infusion Therapy questions a Ketamine specialist will provide individualized forms and questions. All other patients, please follow our pre-visit checklist to prepare for your first appointment. For our physicians at Pioneer Pain Management to fully understand your unique situation, we must do a thorough exploration of your medical history and, if applicable, any previous conditions. This encompasses everything from previous illnesses, to your family medical history. Most of this information will be supplied to use in your Pre-visit packet. This will give us a broad scope that allows us to pinpoint how best to handle your current situation. We will then focus on the pain you are currently experiencing; where it hurts, how much it hurts, and possible suggestions for its cause. Once all factors have been assessed, our doctors can start to focus on how best to proceed. Once our Medical Review Team reviews your information you will be contacted with the status. 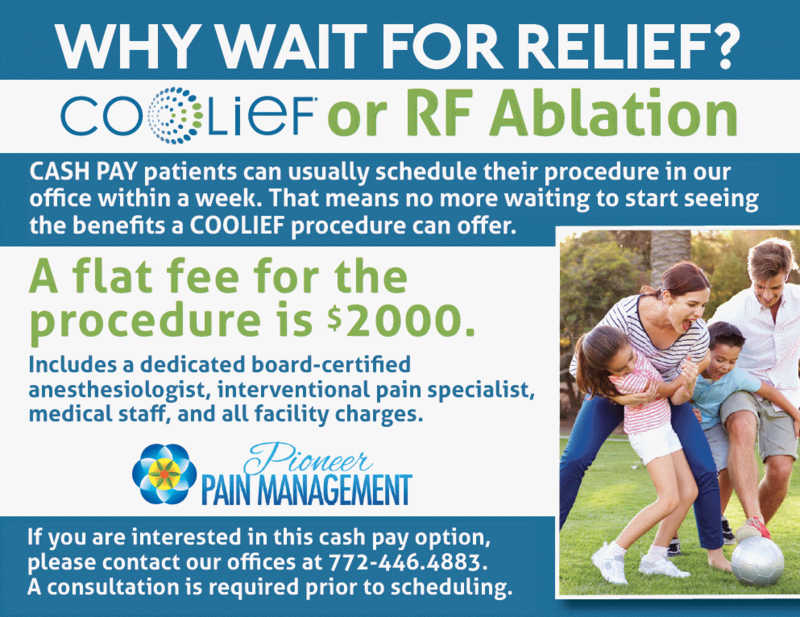 An appointment time will be set and you will meet one on one with your pain management specialist on how best to proceed with your treatment. Be prepared to discuss when your pain is at its worst, how often the pain hits, and how it affects your everyday life. Our specialists have extensive experience in dealing with pain treatment and while this consultation is just the beginning of your pain‐free journey, you’ll be amazed at how much is accomplished in your first visit alone. The physicians you meet at Pioneer Pain Management are, first and foremost, doctors and will need to perform a physical assessment before any conclusions can be made. More than anyone, we understand how unbearable your condition can be and we will perform all physical examinations with the utmost care and comfort. This examination allows us to assess your overall physical condition and tailor make a plan just for you. If you have additional medical records or scans regarding your area of pain or overall physical condition, that were not provided prior to your first appointment, it’s recommended you send those to our office ahead of time or bring them with you on the day of your appointment. Any and all information you can provide helps! Depending on your unique situation, your specialist may prescribe medication on your first visit. We want our patients to feel better with as little medical intervention necessary, so many treatments start with the lowest possible dosage. Keep in mind that this step is preliminary and may be adjusted as time goes on and we see how your first prescription affects you and your pain. Our goal is to heal rather than over medicate, and every situation is treated differently. Pain management is a debilitating condition that must be treated with care and constant evaluation. Our specialists will require additional visits to track your progress and you should be prepared for multiple visits in the beginning of your treatment. If your treatment plan calls for it, you will leave with your prescription that same day, as well as an appointment for your next visit. Let this be the first official “Welcome” to Pioneer Pain Management. We can’t wait to help you get your life back on track. To make your first visit with Pioneer Pain Management go smoothly, it’s recommended you visit our downloadable forms section to speed up the check‐in process. As a new (or existing) Pioneer Pain Management Patient, we want you to be familiar with who we are and what we do! This is why we have provided you with our Pioneer Pain Management Forms to help answer any questions or educate you about us! Thank you and we look forward to keeping you pain-free! Take the first step in restoring your life, contact Pioneer Pain Management today. Let us help you take back what you thought was lost forever – a life without pain. Disclaimer: The information contained on this site is not designed to provide medical advice, diagnosis or treatment. Since each patient and their treatment plan(s) are unique, please do not disregard medical advice or delay seeking it based on information from this content. Individual treatment results may vary. In the event of a medical emergency contact your physician or call 911 immediately. For more information on content and/or treatments offered, call Pioneer Pain Management for a consultation.